Of all the roadblocks on the way to a Brexit deal Northern Ireland is the biggest, and nobody feels more unease about the deadlock than the people who actually live in this British province with its troubled history. Around 56 percent of people there voted to remain in the EU in the 2016 referendum, in stark contrast to 52 percent of voters who backed leaving the bloc across Britain as a whole. 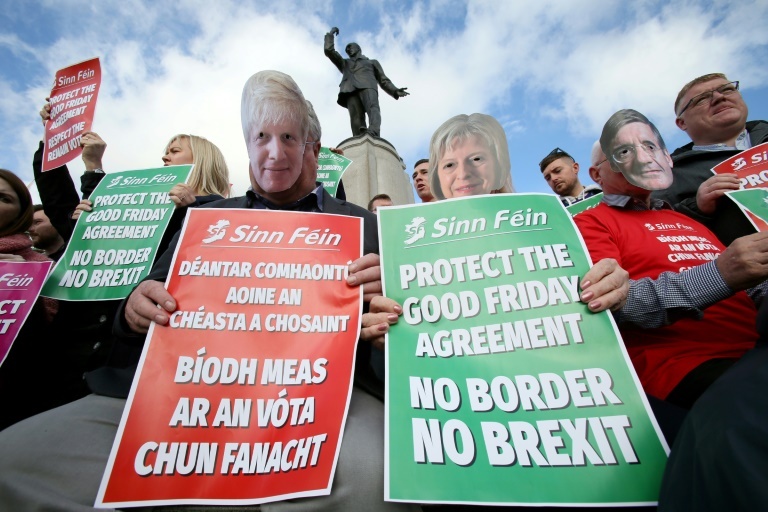 After the failure of last Thursday’s EU summit in Brussels to overcome an impasse in negotiations, Northern Ireland’s entire population is suffering from “fatigue, frustration and confusion,” according to local Lyn Sheridan. Fellow resident Jim Wilson, 72, said people are growing impatient ahead of Britain’s planned departure from the bloc next March. “They’re just fed up with all the talking and they want people to get on with the negotiating and come up with a sensible solution”, the retiree told AFP in Belfast. European Council President Donald Tusk said that any Brexit divorce deal required resolving issues around Northern Ireland. And the EU’s chief Brexit negotiator Michel Barnier, asked if the Irish border question could sink negotiations, replied that “the answer is yes”. Talks have stalled over how to stop its land frontier with the Republic of Ireland, an EU member, becoming a hard border again. However, the two sides have so far been unable to settle the terms of this so-called backstop. “Like a lot of situations like this it involves compromise and a bit of give and take,” said Wilson. Before becoming largely invisible thanks the 1998 Good Friday Agreement, the 310-mile (500-kilometre) Irish border was a flashpoint for violence during three decades of “The Troubles”. It is seen as a key factor in Northern Ireland’s vote in favour of remaining in the EU. Britain and the bloc both say there should be no return to a manned border in any Brexit scenario, but locals are not certain what to believe. Mostly, they feel ignored, John Garry, a professor of political behaviour at Queen’s University Belfast, told AFP. “They’re being talked about rather than being talked with,” he said, adding they feel a “grim lack of agency over what might happen”. Surveys conducted by Garry reveal a majority of people would still prefer to stay in the EU or, failing that, a soft Brexit with the country remaining in the customs union and single market. These preferences cut across the traditionally divided communities of unionists — Protestants who favor the province remaining part of Britain — and republican Catholics, who typically want reunification with Ireland, Garry said. Fears are growing that people may retreat back to sectarian grievances as Brexit becomes intertwined with broader historical issues on the island. The situation is further complicated by political realities in London. Prime Minister Theresa May is backed by Northern Ireland’s Democratic Unionist Party (DUP), which provides her with a slim majority to govern. It has steadfastly opposed any Brexit deal that could create customs or regulatory barriers between mainland Britain and the province, and has hinted it could pull its support for May. “The strong DUP line isn’t represented among the general population, or even amongst DUP voters,” added Garry. On the streets of the Northern Irish capital Sorcha Eastwood, 33, who works for a local politician, handed out leaflets this week for a pro-Remain rally outside City Hall on Saturday. “People are scared”, she said, adding the polarisation between communities was worsening amid a sense of “anxiety and fear”.